Create images and graphics for your marketing, blog, and social media – for free. Canva is one of the most user-friendly and effective design tools currently available to small businesses, marketers, bloggers and social media professionals. You can use Canva to produce visuals for all aspects of your business; from customising images to creating graphics, newsletters to presentations, and invitations to posters. This online tool makes graphic design easy and accessible to everyone. There are templates for everything from presentations and letterheads to ebooks and infographics. There is no need to know the dimensions of a Facebook cover or Twitter header, Canva has done all the work for you and created correctly sized templates; but if none of these suit your design, then you can create your own custom sized documents and visuals. Click and drag, it’s that simple! Once you’ve decided on your design type, then it’s time to choose a layout. Again the online design tool has done all the work for you. There is a vast library of layouts from which you can select and then customise, or you can start from scratch with your own photos that can be uploaded to Canva and then just clicked and dragged onto your design. The image editing platform provides additional elements such as shapes, frames and illustrations to jazz up your design. There is a good range of fonts to choose from and various options for formatting your text. 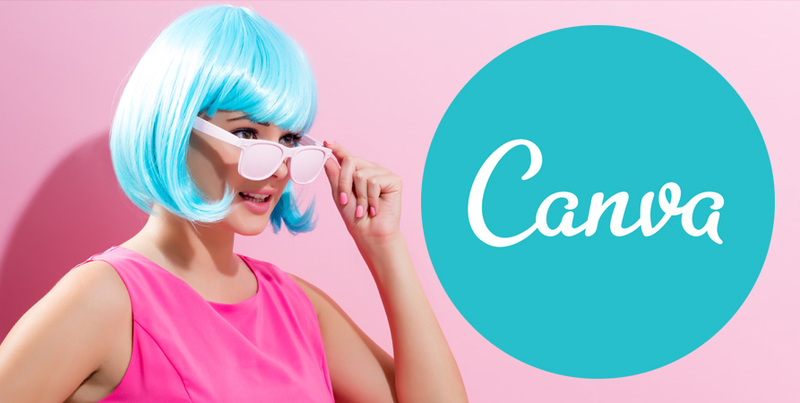 There is an option to upgrade to Canva for Work so that you can add your own brand elements – fonts, colours and logos. If you decide to keep Canva for Work after the free trial it is $12.95 per month. One of our team who has no graphic design experience created this infographic to demonstrate the range of features and the ease at which graphics can be created. Take a look at Canva to see how you can create stunning visuals to support all your business’s marketing needs. If you would like to know more about how Flow Online can support you in your social media and digital marketing then please call Alan on 0117 9775776 or 07968 185544 or drop us an email.